So close and yet, worlds away... Simple and authentic amenities evoking a simpler time. The spectacular natural setting of Camp Navarro makes it one of the most unique redwood wedding and event venues available for weddings, celebrations, corporate events, festivals and film locations. The Great Hall of the Main Lodge, at 4,600 square feet, will accommodate large groups for celebrations, presentations or dancing and has seating for 400 diners at one time. 1,800 square foot commercial kitchen, fully equipped to prepare and serve meals for 500+. Trading Post Cafe providing GREAT early morning coffee and tea, light meal and snack service, hot and cold beverages and supplies. 32 cabins, sleeping 145+ people. 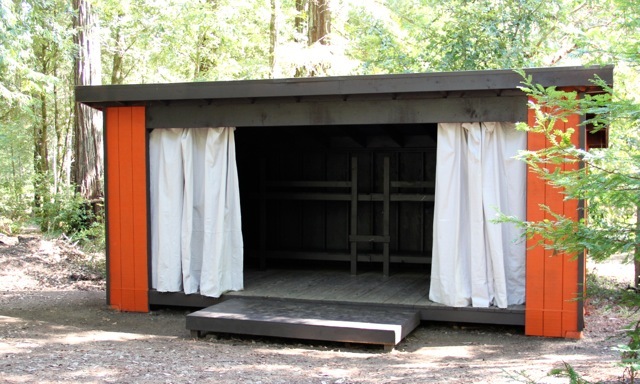 12 Adirondacks (Open Air Cabins), clustered through the redwoods in three camps. Total of 48 beds, with a high quality mattress. Each has one queen and three twins. 42 Teepee tents providing additional lodging capacity. 24 have queen beds. Numerous event venues in a variety of pristine settings from Redwood Groves and Riverfront Meadows to Oak studded grasslands. Substantial power and event infrastructure throughout. Parking for large groups, buses, and large trucks. Safe and easy access from state highways. A private Camp for over 100 years, Camp Navarro began as a lumber camp of the Albion Lumber Company in the very early 1900's. Things really took off for Albion Lumber and the redwood timber industry after the 1906 San Francisco earthquake destroyed 30,000 buildings. It was discovered that the City had a plentiful and cheap building material, redwood lumber, to rebuild the city with. The camp was used as a Civilian Conservation Corps camp during the Depression, and then as an army camp during World War II. 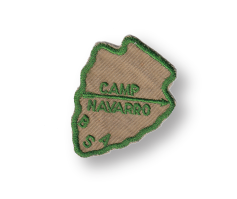 The Masonite Corporation sold Camp Navarro to the Sonoma-Mendocino Area Boy Scout Council in 1956 and it was renamed Camp Masonite Navarro. It was a private Scout camp and the 'crown jewel' property used by the Scouts as well as other youth groups for over 60 years. In 2012, Camp Navarro Stewards completed the purchase of the camp from the Boy Scouts and made it available to the public for the first time in it's long history. We recognize the irreplaceable environmental and social value of Camp Navarro and it's long history in the community. We are committed to opening the camp to you, for your event, with creative sensitivity and the enjoyment of the delicate balance of human and natural interaction surrounding us.